Let us know how many guests will be traveling with you, how many nights stay and what event(s) you want to see. 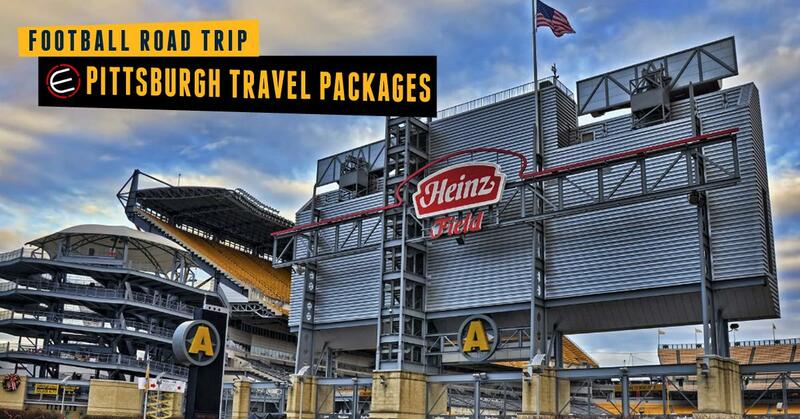 Pittsburgh Steelers Travel Packages can be customized to your schedule. Plan the perfect Pittsburgh Steelers Travel Packages road trip with an Elite Sports Tours travel representative. Our experts will provide you with package options at our preferred hotel partners near the venue and tickets at the game for your entire group.